Comment: strip sand refinish of 3800 sq ft. restaurant. work would have to happen overnight. waterbase. replacement of about 3sq ft of damaged floor. Comment: Refinish of flooring in Hard Rock Cafe Foxwoods. Approx 10k sq ft. I need 2 quotes, one for touch up and screen, and one for complete down to wood refinish. Flooring is oak. There is one small area of water damage that needs to be addressed at a door threshold (about 6sq feet) Job would need to be completed on overnights. Comment: I need to have estimates on replacing vinyl floors for our retail remodel. Comment: We are bidding a project for a commercial Retail Construction project and not a service call. We are bidding as a General Contractor and are looking for looking subcontractors that could provide us with bids for the work needed. I am needing carpet flooring done as well as VCT and tile. Mashantucket Flooring & Carpet Contractors are rated 4.78 out of 5 based on 647 reviews of 15 pros. 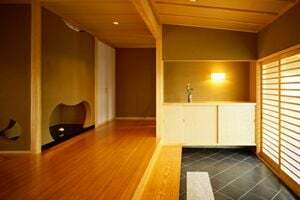 Not Looking for Flooring & Carpet Contractors in Mashantucket, CT?